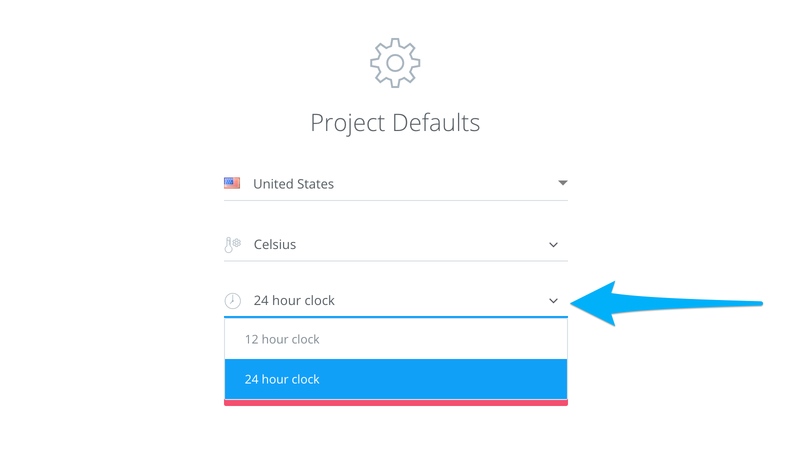 Learn how to change your default time format between 12 and 24 hours. 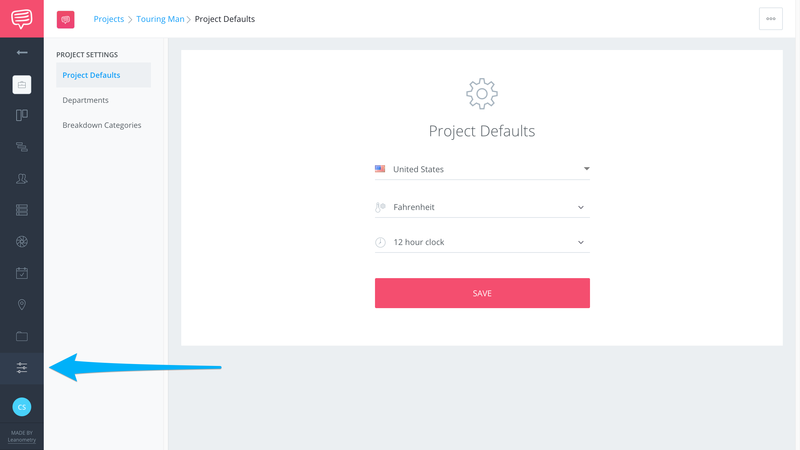 When you first sign up to StudioBinder, we set your time format automatically based on your country's IP address. However, if you are traveling or working remote or need to change your clock settings from military to standard, you can change your default time format by following these steps. In a project's sidebar click the Manage tab. 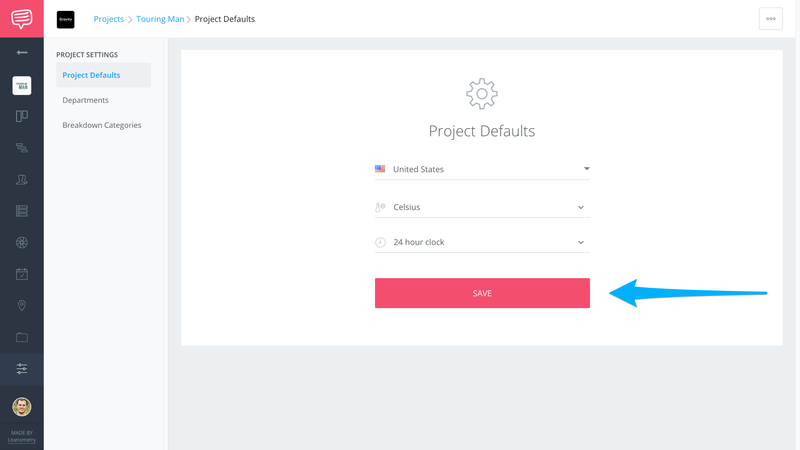 On your Project Settings page, click the time clock field and select another option. After selecting 24-hour clock or 12-hour clock, click Save.